The Chords UK are helmed by founding member and songwriter, Chris Pope, along with Mic Stoner, Kenny Cooper and Sandy Michie. 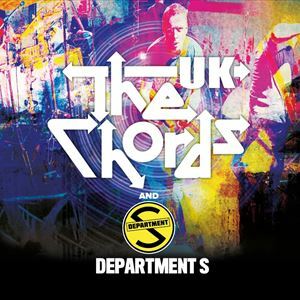 Since 2013 The Chords UK have continued the legacy of Mod Revival heroes The Chords by performing all of the band's hits along with performing material from the two new albums by The Chords UK, "Take On Life" and "Nowhere Land". Department S started out as Guns For Hire who released a solitary single, "I'm Gonna Rough My Girlfriends Boyfriend Up Tonight" in 1980. "Is Vic There? ", the debut single from Department S, became a top 10 hit in the UK which was followed up quickly with the singles "Going Left Right" and "I Want" before the group dis-banded.